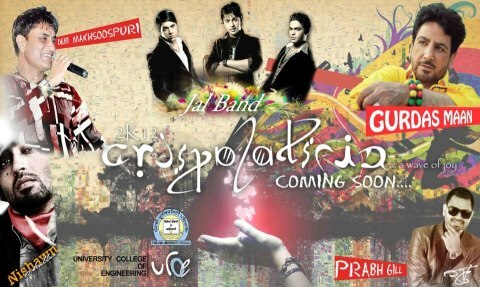 Be Ready For the Fest in Punjabi University, Patiala. 1. Cultural- Dancing, Singing, Rappin, Band Performances, Fashion Show, Bhangra Giddha. 9. More performances by Nishwan Bhullar and Prabh Gill.